Experience a calm and cozy day at sea with the luxurious Cartagena Yacht designed for large groups. 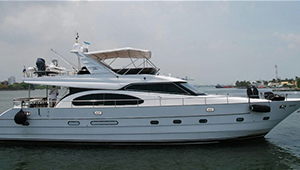 Also known as a Yate 74 Pies Yacht, this spacious and powerful vessel easily accommodates up to 25 guests throughout its various passenger compartments and cabins. There’s nothing quite like cruising the open water with a group of your closest friends or family, or engaging in your favorite watersports, such as water skiing or tubing. 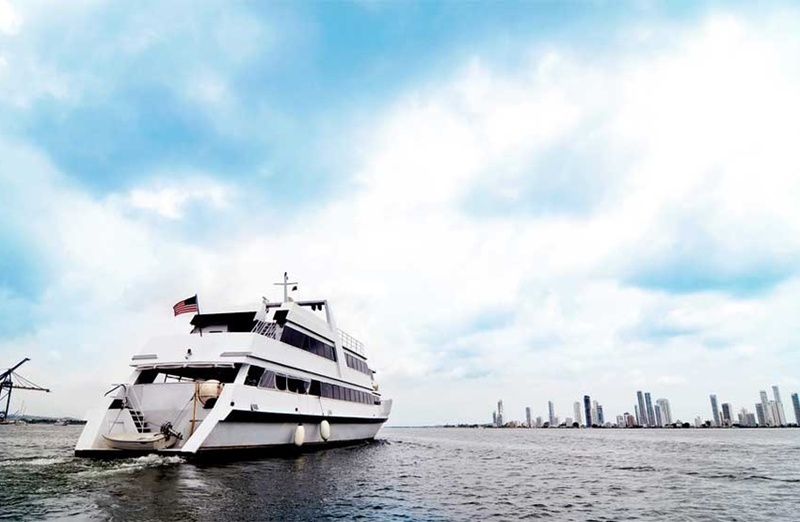 Discover your love for Cartagena while living the Caribbean life on the water. Whether it’s for a night or an entire week, a stay on the Cartagena Yacht is filled with fun in the sun, luxurious amenities, and the comforts of home. It’s not always easy to find a watercraft large enough to accommodate all of your family and friends, or intimate enough to provide you and someone special with a private, beautiful setting. This boat does both flawlessly. 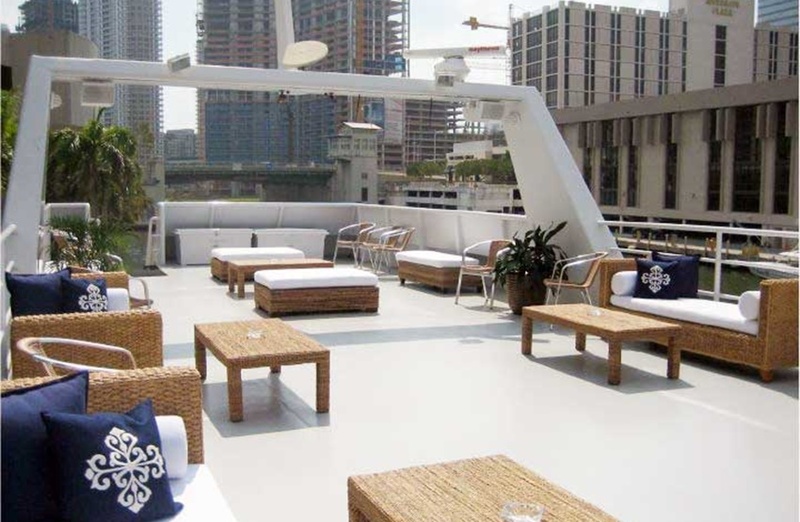 The vessel features open deck areas to allow for sunbathing, as well as a large overhead canopy to protect passengers from the hot sun. 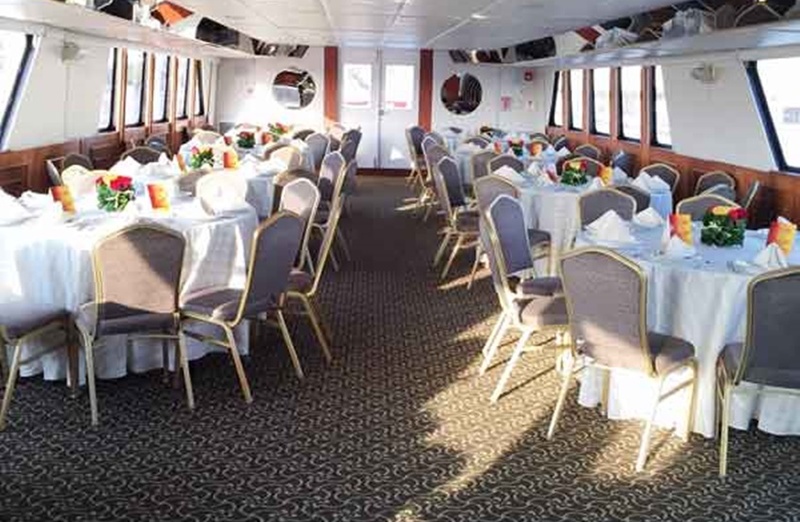 In addition to plenty of plush seating on the main deck of the boat, the interior has several spacious seating areas with tables to play games or enjoy meals. The inside cabin also holds a full-size refrigerator, counterspace to prepare meals, recessed lighting, and other modern features and amenities. The watercraft also has several fully furnished bedrooms with mirror accents and storage. Settle down after a long day of boating, fishing, and having fun with your closest friends. 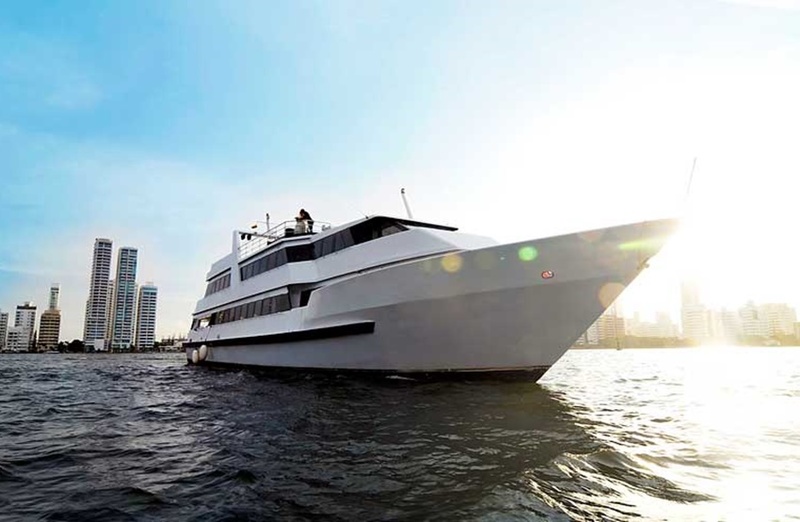 If you’re looking for an exciting activity to experience while in Cartagena, yachting is a must-try. Make this baby your mode of transportation to reach a tropical paradise in the midst of the waves. Set sail on the Caribbean. 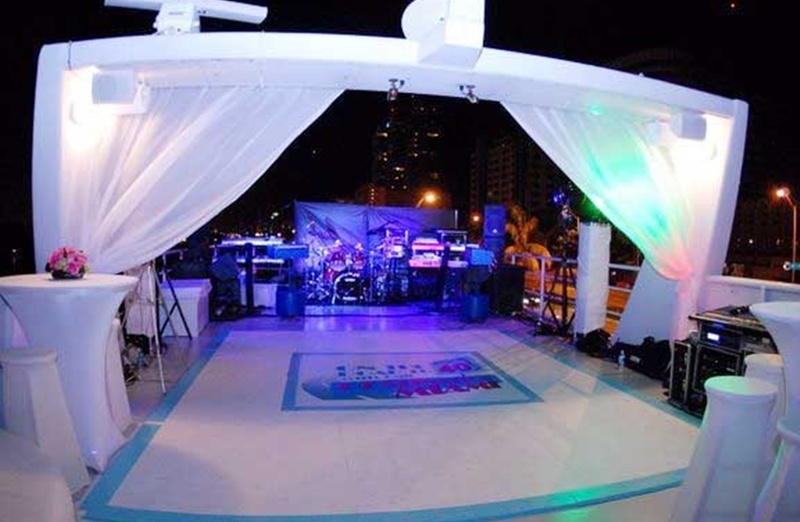 The Cartagena Yacht Rental for Large Groups is the ultimate boat for a wide range of celebrations and events. 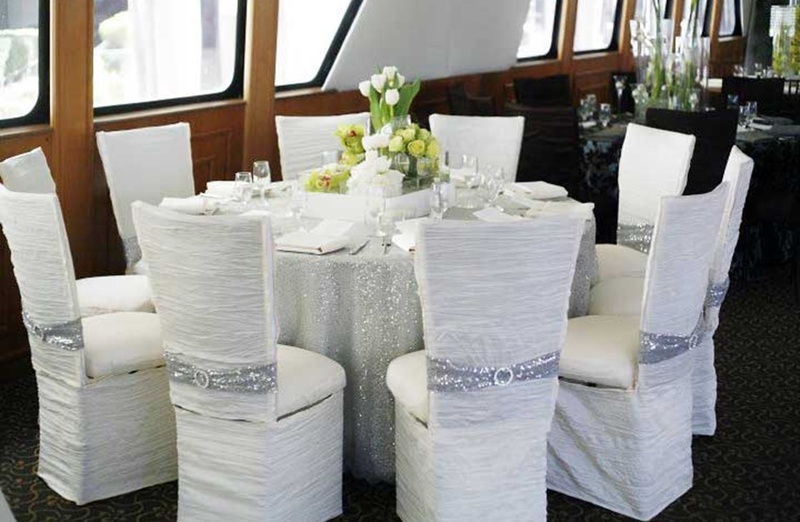 Use the yacht for an upcoming wedding, private party, business meeting, cocktail party, bachelor party, or any other type of event in which you will be hosting dozens of your closet friends or colleagues. The space is large enough for all types of ceremonies, presentations, and similar types of events with adequate seating for all of your guests. 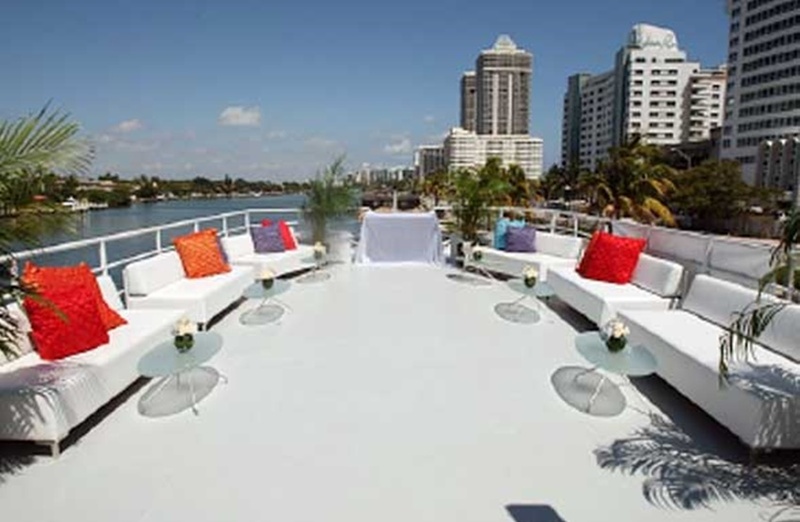 With multiple event rooms, it’s easy to set up a wedding on the deck and a reception indoors where dinner can be served. Located in the northwestern region of South America, Colombia is one of the primary ports of entry to the continent. Colombia shares a border with five nations, including Brazil, Venezuela, Ecuador, Panama, and Peru. It is the fourth largest country in South America and the 26 th largest nation in the world. Cartagena de Indias is one of the most beautiful cities in Colombia and the ideal location for conventions, congresses, and meetings. With its humid, tropical temperature and access to both land and sea, it is a popular tourist destination with incredible cuisine, nightlife, and entertainment options. Cartagena is one of the world’s best kept secrets when it comes to yachting vacations. It’s a relaxing world where friends and family can unwind and be pampered on board while cruising along the Caribbean. On the Cartagena Yacht Rental for Large Groups, you have the opportunity to set your own pace and make your own itinerary to ensure that your vacation is truly unique. This means no waiting in long lines to get into a club, eating on your own schedule, and celebrating with friends in the privacy of your own rental boat. Yacht rentals can also be found at all price points. Imagine waking up on the beautiful Caribbean with only water and far off sights of Cartagena in view. 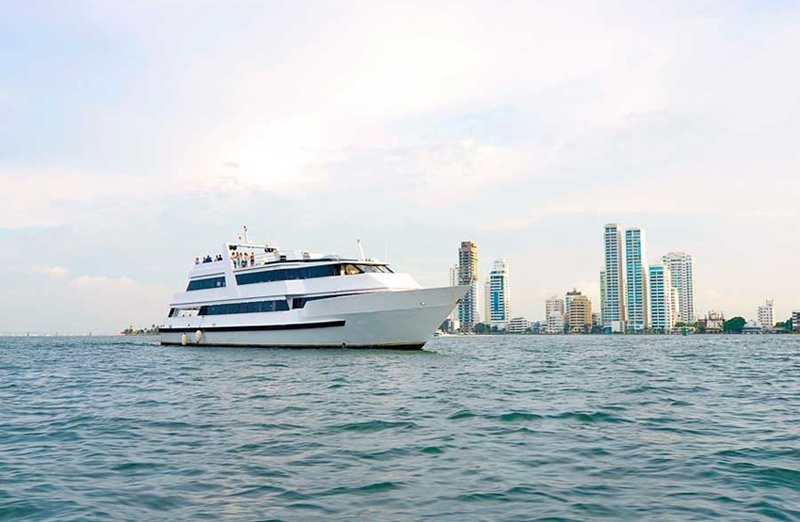 Whether you’re on a leisurely vacation or are looking for a romantic getaway, staying on a Cartagena yacht far outweighs staying in a hotel or other public accommodations. 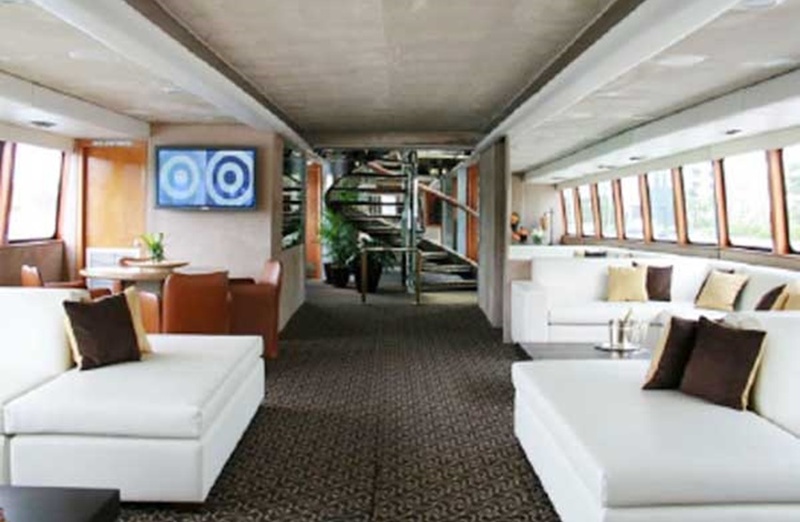 The 135 foot Cartagena Yacht Rental for Large Groups features multiple cabins, bathrooms, and a social salon where guests can socialize. It’s also a great alternative to conference rooms for businessmen and women looking for a more upscale venue to host an important meeting. 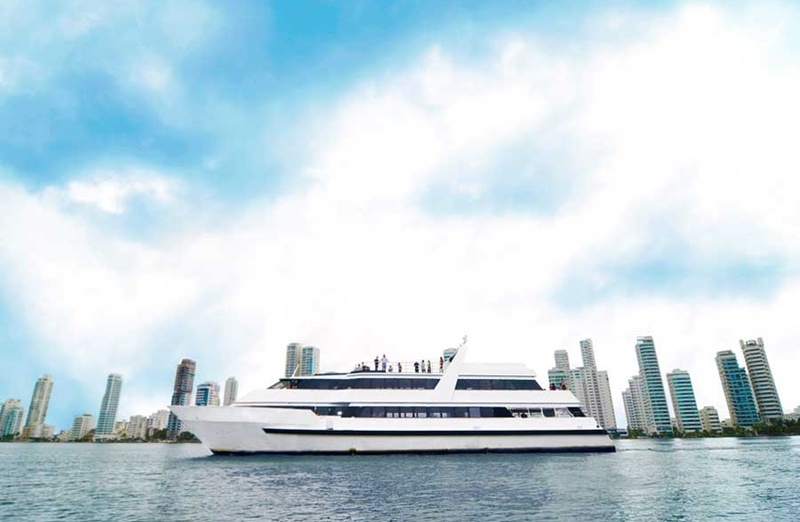 Reserve the Cartagena Yacht for Large Groups today.